Women’s Fragrances- Spread the Message of Love With Sentimental Aromas! It has been said that one can’t be dressed up completely without a perfume and it’s pretty much true. A perfume is the most intense form of memory and the better you smell the more people remember you positively. Unlike men’s, the perfumes for women are lighter and less intense so that it may boost the feminine aspect and delicacy of a lady. Visit affordable.pk to find the schmaltzy smelling collection of ladies’ fragrances in Pakistan. As the name indicates, the affordable.pk team brings the most affordable women perfumes prices for you, so shop and relive! Different types of fragrances are available in different subsections, so that you may choose according to your taste and time. The only thing constant is they are all women perfumes brands so quality is guaranteed. If you need a fragrance for a longer duration, then you should go for colognes and perfumes. They are more intense and stronger and keep you fresh for long enough. 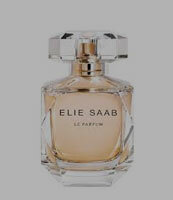 Find branded perfumes and colognes at reasonable prices. You can go for body sprays, deodorants, or deo sticks if you need a fragrance for a few hours. They are all refreshing but less intense and less strong than perfumes. Moreover, they are cheaper, too, so they are perfect for daily use. It’s good to recall our culture time and again and use traditional products. Buy beautifully scented attar from affordable.pk at reasonable prices and enjoy old times. Use smelly bath and body products to enjoy your shower time. 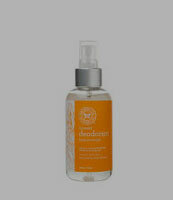 Buy fragranced shower items from affordable.pk at inexpensive prices. All these items are branded and keep you smelly for long so that you may feel fresh and wash away your troubles.